SNIP >>> The common scientific belief has been that army ants originated separately on several continents over millions of years. Now it is found there was one evolution. Using fossil data and the tools of a genetics detective, a Cornell University entomologist has discovered that these ants come from the same ancestor, because since the reign of the dinosaurs, about 100 million years ago, army ants in essence have not changed a bit. 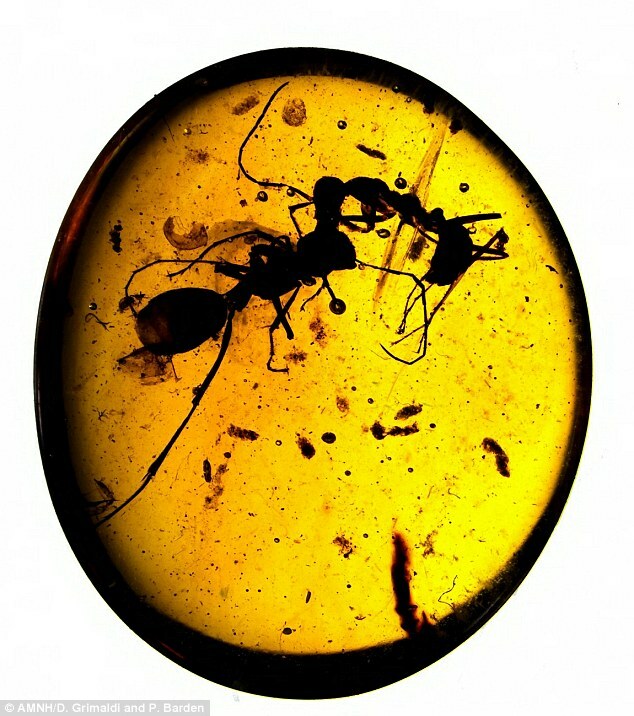 With jaws still locked together, a vicious fight between two ants 100 million years ago has been frozen in time in a piece of amber discovered in Burma. The tiny insects were encased in tree sap as they wrestled, causing them to be preserved within the material as it fossilied into amber.